Everyone has something that they’ve loved to do or an interest since childhood. I fell in love with fashion so long ago I can’t quite pinpoint what was my moment. Instead of watching Disney Channel shows all the time, I watched fashion shows and What Not to Wear. I was so obsessed with the fact that you can express who you are, what you like and so much more through your clothes. Fashion to me isn’t just dressing nice, designer brands or being a showstopper but it’s my art. I’m the artist, my body is the canvas and my clothing are the colors, lines and details that create the painting. People ask me how I think of my outfits and honestly I can’t tell you because it’s the art of style not an equation. I let my mind create and float freely when I’m getting dressed just as a painter strokes his/her brush, immersing yourself in your masterpiece. I’m not a follower of trends. I will not wear blue shoes because it’s in. I wear what I love and what I feel makes me comfortable in who I am. I’m not sure if I can label my “look” because I have so many that I love. One day I’m Jackie Kennedy and the next day I’m Rihanna. 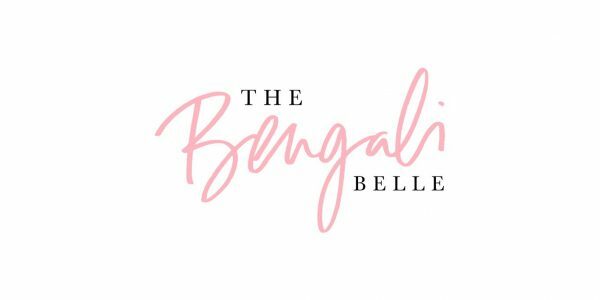 Last night was Runway Houston’s annual fashion show and my first time attending as The Bengali Belle, yay. For the fashion show I wanted to bring out a look that embodies who I am (A Bengali Goddess-Queen, at least that’s what I tell myself). Coming from a Bengali background half of my closet is filled with traditional attire. There’s an indescrible feeling I get when I have traditional attire such as saris, salwar kameez and lehenga’s on. It makes me feel like royalty and I appreciate my culture so much more. So last night I decided to pair one of my lehenga tops but a high waisted skirt with a double slit. I think this is something all South Asians should embrace. Why not take half of that closet and emerge it into your wardrobe? I think it adds a good kick of spice. So take all the colors in your closet and paint them on yourself however you like because fashion is a powerful art that introduces people to who you are without saying a word.